This frame is from the trailer of a new video game, Metal Gear Solid V. The woman pictured here is one of the protagonists. Notice anything about her? In these scene, she's infiltrating an enemy base of some kind--possibly a ship. Her outfit is outrageous. Not only is outrageous, but it's completely unlike what male characters wear in games. I'm no prude. I'm ok with people wearing whatever they're comfortable in. You won't hear me telling people to cover up on the beach, or preaching about modesty. But, this is different. This is an surreal end to a consistent trend: the treatment of women as objects in video game culture. I don't game as much as I once did. There just aren't enough hours in the day. But, I appreciate what games offer: a new and wonderful means to tell stories and experience the impossible. I've explored alien worlds, flown across the continent, and built civilizations. At their best, video games immerse us in imaginary worlds in ways impossible via other media. I love what gaming represents. What I don't love is seeing this kind of thing. I'm a dad with two daughters. I spend a lot of time and energy to give them this message, "You are important and valued." Games like this then say, "Most of that value comes from your breasts." Traditional media is bad enough in its handling of femininity, but the nature of virtual environments allows these trends to become so extreme that I thought this was a parody at first. It has to stop. Oddly enough, Metal Gear Solid may help. The comments from gamers to this trailer are overwhelming negative. Male gamers everywhere see this image, and are insulted and put off. Perhaps this moment is a turning point in video game culture--and a change like that can drive markets in new directions. I was reading about Ouya's Kickstarter campaign. The company raised $8.5 million dollars, beating their goal of $950,000 by 900%. I became aware of the Ouya project minutes after the campaign opened, and I had little doubt they would exceed their goal. The end result exceeded my wildest estimation. Have you heard of Ouya? 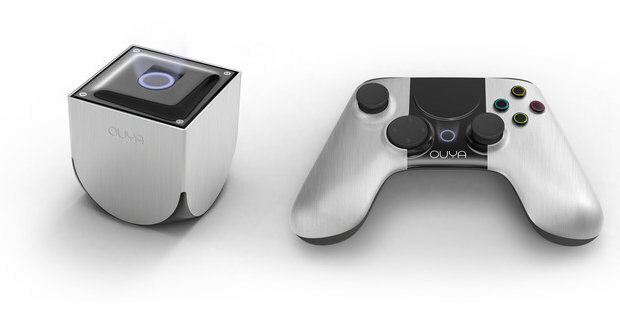 Ouya strives to be an inexpensive, HD capable game console that runs Android. In contrast to the approach of Nintendo, Sony and Microsoft, Ouya will allow anyone to publish games for their console. Thinks Widows or the Mac. Ouya is using a lot of tested, widely available technology as its foundation. They are using an existing OS. The attempt at market disruption is not advanced technology. Instead, Ouya focuses on price and access. It will be interesting to see if they can hit their pricing targets while keeping enough margin to grow a company. They believe that creating a platform that is more accessible to independent developers will be enough to build an ecosystem that can compete with industry titans. I'm a fan of indie work. I like indie music and indie film. I even founded an indie record label believing that the Internet creates the opportunity for content producers and audiences to do commerce without the needs for an expensive and risk-averse middle man infrastructure. This was before the emergence of crowd capital fund raising. The Cluetrain Manifesto got it right. Markets are self organizing faster than traditional organizations thanks to the Internet. The dynamics of startups are evolving because customer based funding is truly disruptive. If you have a good idea, and you can build confidence in an audience that you can make that idea reality with a set amount of funding, the need to appeal to existing business interests is minimized. Much like my beloved Blue Like Jazz became a reality without a backing studio. Perhaps the future for independent artists and startups no longer lies in studios, labels, and venture capitalists. Could this be the dawn of the Kickstarter Agent? After many hours of confusion last night, this morning I was able to play the Halo 3 Multiplayer Beta for about 5 minutes. Madison insisted on having a controller of her own, and it was quite hard to convine her to stop repeatedly mashing the guide button, but I got my fix. It's everything I'd hoped it would be. Oh Halo, you had me at hello.